Flight is turning to Synthetic Intelligence. 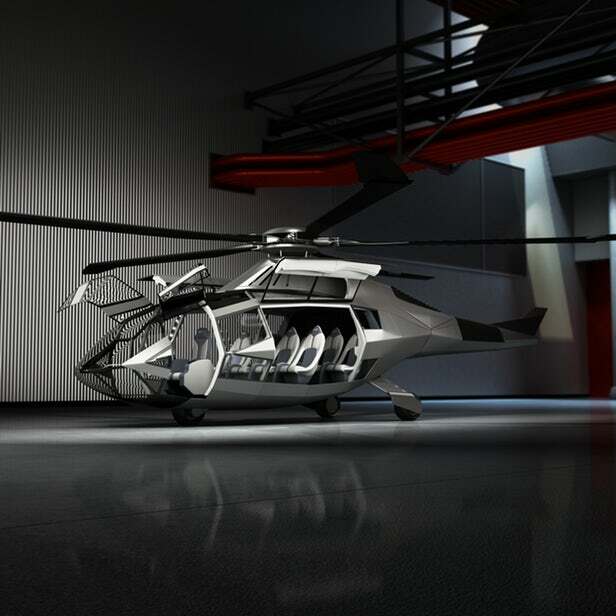 A sleek new helicopter design was unveiled by Bell Helicopter at the Heli-Expo in Dallas, Texas. Called the FCX-001, the next-generation machine will be built from sustainable materials and run on a hybrid power system. It will come equipped with augmented reality (AR), an artificial intelligence (AI) co-pilot, and rotor blades that morph depending on flight conditions. An anti-torque system improves the helicopter’s safety, reduces noise, and increases performance, while a hybrid propulsion system with a thermal engine core for primary power will help give better control and simplify maintenance. Regardless of operational conditions, thanks to its augmented reality system supported by AI, the FCX-001 will be capable of controlling itself singlehandedly. This kind of technology allows the usual Multi Function Display to be replaced, thus allowing the aircraft to be supervised by one pilot with the AI in the co-pilot role. This key feature is a logical step towards achieving fully autonomous vertical take-off and landing (VTOL) aircraft. Built with advanced sustainable materials, the aircraft can basically be configured to customer’s needs. The modular cabin can also take advantage of the aircraft’s AR capabilities and provide a tailored infotainment experience for each passenger. “Being a pioneer in the aircraft industry is in our DNA and we want to share this renewed passion with the world. The FCX-001 points the way for our future – a renewed focus on innovative solutions and technologies. When the time is right we look forward to sharing more of what we’re doing behind closed doors,” says President and CEO of Bell Helicopter, Mitch Snyder. If the numerous concepts introduced for VTOL aircraft are anything to go by, the future of flight will definitely be unmanned and autonomous. Joining Bell Helicopter’s efforts to put such innovative vehicles in the sky are Uber, which seeks to provide a cost-effective and efficient ridesharing service in the sky; Dubai, which is already in the midst of testing hover-taxis as a way to manage traffic congestion on their highways; and Ehang, the company behind the world’s first autonomous drone for humans that intends to use their technology to automate organ delivery.